La Sierra University Community Marks Passing of Dr. Charles Teel, Jr.
Late Friday evening, La Sierra University shared news of the passing of Dr. Charles Teel, Jr., La Sierra professor and founder and director of the Ana and Fernando Stahl Center, who succumbed just before 8:00 p.m. on Friday to complications from West Nile Virus. 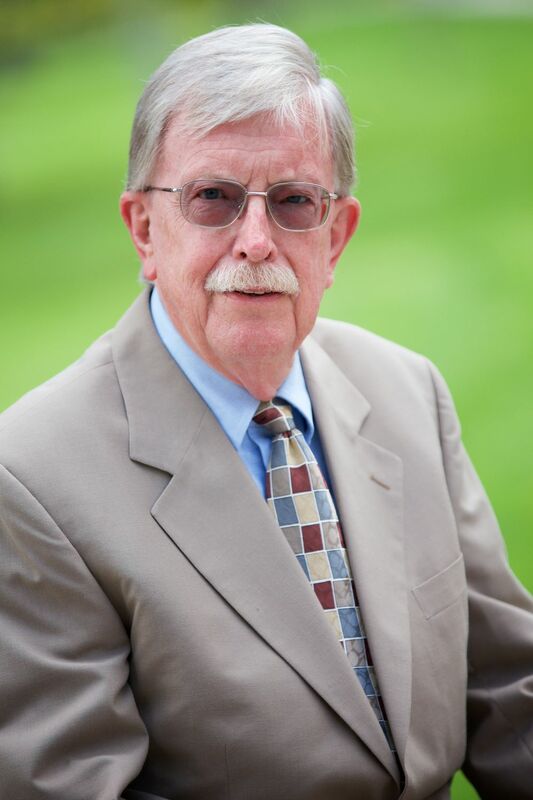 With heavy hearts this evening we inform our campus family and our community of the passing of Dr. Charles Teel, beloved religion professor, champion of social justice, crusader for Adventist missions, our friend, mentor, and respected scholar. Dr. Teel died this evening in Riverside from complications due to meningoencephalitis. He was surrounded by his family and passed to his rest in peace. We extend our deepest sympathies to his loving family, and look forward with great hope and anticipation to the promised resurrection, taking comfort in the words of Jesus, “I am the resurrection and the life. The one who believes in me will live, even though they die” (John 11:25). Additional details about Dr. Teel’s exceptional contributions to the university and the Seventh-day Adventist Church will be forthcoming. His loss is felt deeply throughout the campus, and particularly within the H.M.S. Richards Divinity School where he served many years as a valued faculty member and friend. The university also will send information as it is available concerning services honoring the life of Dr. Teel. We encourage all to pray for and support Dr. Teel’s family, friends, and colleagues during this difficult time. In the ensuing hours, memories of Dr. Teel began pouring in from friends, colleagues, students, and many members of the La Sierra University and LSU Church community whose lives had been touched by him in some way. The following excerpts were shared on social media and are published here with permission from their respective authors. Dr. Teel encouraged me to apply to graduate school when I felt ill-equipped to go outside of my comfort zone, telling me that it didn't matter that I'd gone from quitting nursing school to seminary applications in a matter of a year. He directed me to apply to his alma mater and forgave me when I turned down the acceptance to study elsewhere. He supported every project I ever asked him to support, especially when it came to the Women's Resource Center or raising a stink in the church about inequality in ministry. When I organized academic conferences and social justice meetings, he attended and spread the word if I asked him to. Then he supported me as a junior faculty member but never treated me as though I was a rookie. He supported so many others in just this way and I am moved as my friends post their own memories. My condolences to Marta, Alma, and Melanie. This is also a huge loss to La Sierra University, where Dr. Teel taught religion and ethics for fifty years. I just dug up a photo of Landon playing around in the classroom across from the Stahl Center for World Service. I kid you not, Charles was jokingly instructing the child, "Don't you dare show up to my class late!" Of course. Dr. Teel helped me to see the world through a different lens. He hardly ever answered any of my questions with a simple answer, instead asking me more questions to help me to arrive at my own conclusions. I am genuinely sadden by this news. Dr. Teel was a wonderful person. I enjoyed his classes and his passion for what he taught. He called me "Mother," because I was a single, dedicated and determined mother who returned to school to complete my degree, so that I could provide a better life for my children. I brought them to EVERYTHING-Field trips, SALSU trips, volunteer opportunities . . . In fact, that nickname started the day we were prepping the ground for tiled seating, around campus, under Dr. Teele's leadership. From that day forward, everytime I saw him, he would say, "Hello Mother!" What a crushing shock to open Facebook and see that Dr. Charles Teel has passed away. It was an honor to serve beside him at La Sierra. Our community has lost a great man, my heart breaks for all who love him. We will continue your work of progress and justice, my friend. Holding onto hope of joy in the morning. It's with a heavy heart that I share with those who knew him the passing of a treasured and admired friend, Dr. Charles Teel, whom, together with his dear wife Marta Pastor Teel, I met for the first time when he was senior pastor of the Boston Temple SDA Church. A man with a heart of gold, a passionate activist for justice and peace, an inspiring colleague and professor, and a true friend through the years. I had the privilege of spending time with Marta and daughters Melanie and Alma just before and just after he passed on--our prayers are with those left behind to mourn one of Adventism's leading social justice mavericks. Through his teaching and "informal quizzes" at the beginning of class, he showed me the importance of having a faith that is current, engaged, and applicable in society. He helped me understand that ethics and justice were themes of Scripture and that they needed to have a place in my faith, church, and society. I will forever be grateful that I took classes from such a uniquely gifted and passionate professor. Legend! This is a picture of the very first quilt I ever made. I made it because of Dr. Charles Teel. I didn't know him back then, but he showed up at Redlands Adventist Academy back in the late 80s, on fire to urge people to make quilts for AIDS babies. He promised us that if we'd come and learn how to make a bow tie quilt from him at his upcoming workshop, we'd find it was super-easy. I showed up, made this one first, and then made another one for the AIDS Baby project. Thanks to Dr. Teel, making baby quilts and giving them away had been one of my gestures of love ever since. It is hard to say goodbye to someone who's charismatic and rhetorical hello "HELLLLOOOO" is deeply ingrained in my academic consciousness, especially when I think about Biblical Ethics, one of two classes I had the opportunity of taking from Dr. Teel. He challenged me to see the Bible as a book teeming with social justice rather than out-of-touch edicts. I am very sad to hear that my colleague and friend, Dr. Charles Teel, has died. He was a great champion of justice for all and someone who passionately continued to bring the stories of those positive examples of people who made a significant difference to the people around them and making life on this earth better for the marginalized while still believing in the better world to come. He will be greatly missed. So humbled, privileged and incredibly thankful to have shared in life, many laughs and on a occasion some tears (of which I was crying and he consoling) with this courageous and compassionate man. My heart is sad today to hear about his passing. Oh this breaks my heart! I knew we would be friends when I saw how many jigsaw puzzles you kept in your office. I'll miss your stories, your infectious laugh & the way you'd say "well hello young lady!" like bumping into me was the best part of your day. You had a way of making everyone feel like the most special person in the world & you always had a joke or story to share. You have done so much for so many but now it’s time to rest. Walk good Dr. Teel! My dear friend and mentor Dr Charles Teel has passed away in California. He was an iconoclastic and inspiring teacher of a group of Australian MA students, including myself, who he challenged in our class at Avondale on Christianity and Culture to go out and change our world, saying "Let that for which we hope for inform that for which we work for now!" He was a passionate social justice advocate who marched with Martin Luther King and was jailed for his opposition to racism. In 1997, I went with Charles and his wife Marta to Puno in the Peruvian Andes and we had a great time celebrating the legacy of two great Adventist missionaries, Ana and Fernando Stahl who changed the lives of thousands of indigenous tribes in Peru's Altiplano through free education and fighting against political, religious and social justice. Chris, I still remember why I thought to snap this picture (1/17/15): You were preaching a beautiful sermon on a story from Mark, with laser focus on power dynamics and justice, and it struck me the privilege to be preaching to one largely responsible for our ability and passion to preach such things. There will be a gaping absence today, a few rows back on the right side of the center aisle. Just got the news that Dr. Charles Teel, my advisor at La Sierra University, has sadly passed. I want to take the time to remember the exceptional human being that he was. He was my professor but also my friend. He was generous - an example is that he lent me his car so that I could take a class at the neighbor university. He had a lot of humor and didn't take himself seriously - he for example laughed it off when I made the faux pas of calling him Charles in class instead of Dr. Teel (being Norwegian I have a difficulty remembering the use of titles). He was always blazing the trail for social justice issues - he was just an inspiration. Rest in peace, Dr. Charles, we'll meet again one day in a better place, where all social issues will be resolved! Until then, I'll work to pass on your message of an equal world. The amazing social justice warrior Charles Teel passed away this evening. He marched in the Civil Rights Movement long before I knew him. One of my most memorable experiences in college was hearing Maya Angelou speak -- of course it was Dr. Teel who had brought her to campus. He was truly a visionary and revolutionary and I am so fortunate to have known him. He married George and me 24 years ago and he made our day so amazingly memorable that we would forever reminisce with him about the day. It was just two months ago that he honored our family in the greatest way by memorializing my Grandma Lorna Allred. He told stories about going on hayrides at Lorna's ranch when he was a kid and of course he told other stories as only the best storytellers can. Years ago he told me that he wanted When The Saints Go Marching In to be played by a New Orleans jazz band at his funeral. I always thought that would be perfect. He was both a saint and a bit rowdy. Image: Dr. Charles Teel, Jr., courtesy La Sierra University/Natan Vigna. Jared Wright is a former student of Charles Teel and Southern California Correspondent for SpectrumMagazine.org.